Part 1: How Can a Poor Filipina Afford to Travel? 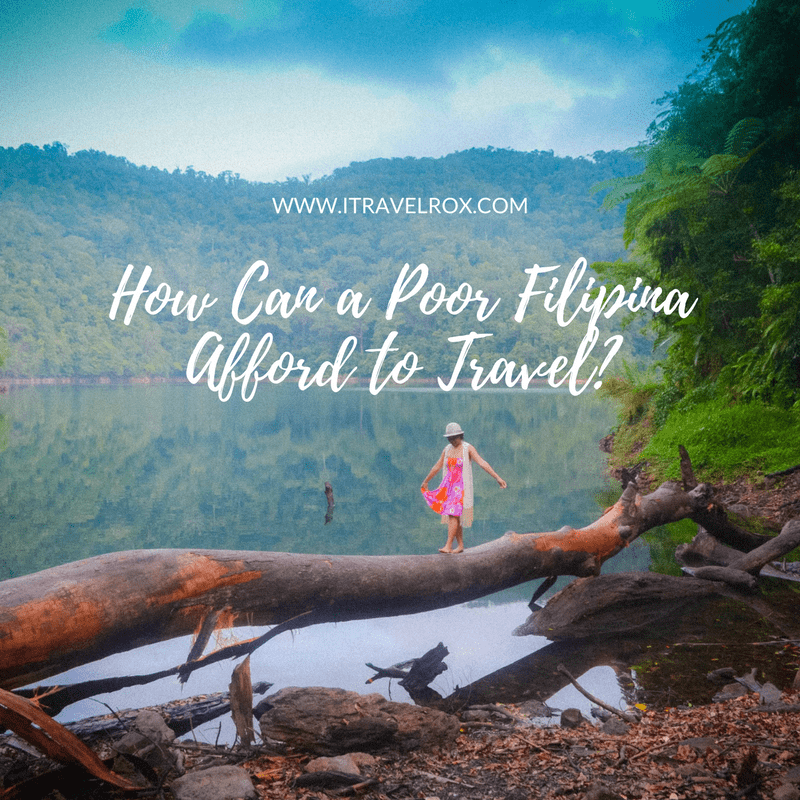 Here I am sharing with you how can a poor Filipina afford to travel. Find out my most authentic and most humble answers based on my travel experiences. How Can a Poor Filipina Afford to Travel? 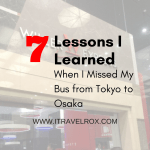 During my first solo trip to Japan, a Dutch guy questioned me how can a poor Filipina like me afford to travel. Just because prior to his Japan trip, he had been to the Philippines and met several Filipina girls. I could really feel how he underestimated me as a Filipina. He even asked me if I had a rich boyfriend or a sugar daddy to finance my Japan trip. How I wished I had a rich boyfriend to finance my trip. But if I had a rich boyfriend, for sure we would be traveling together. I answered him with wishful thinking but told him that my former client at that time sent me US$500. If you have read a previous post of mine, my family had a crisis. I spent my Japan travel fund for my father’s medication. It was an insult for me to receive such rude questions and comments from a douche bag. I should have stayed away from him and left him somewhere. But I did some sweet revenge which it’s gonna be another story. 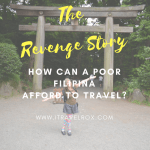 Related Article: Part 2 – The Revenge Story of How Can a Poor Filipina Afford to Travel? Expectations of How Can a Poor Filipina Afford to Travel? This is FALSE. I actually quit my office job to work at home back in 2010 just because I got sick. Working at home with my online job pays better than working in the office so my transition from work office to work at home wasn’t that difficult. My salary was around PHP 6K to 9K a month. Before I quit my office job, I only had PHP 5K on my savings account. I didn’t miss my co-workers or colleagues as I am more productive working on my own. No boss looking behind me. Again, this is FALSE. My parents weren’t born rich. When I started traveling in 2013, it was also the time I faced personal problems and family crisis. Traveling becomes a coping mechanism. Some may call it selfishness. Can’t really tell if I suffered depression but I got stressed, experienced panic attacks and anxiety. It’s just me who could help myself. Not my parents. Not other people. I look so cool and chill outside but deep inside I’ve been scarred and hurt so many times. Learned to be resilient and chose to live on my own in Palawan, where I found my peace. This is FALSE as I have no experience working abroad. How I wish I did so that I could earn more money. Not sure if I have the chance to work abroad and earn more money than my work online. For now, I am really contented with my online job, counting nine years in 2018. I’ve been single since 2013 and that was the only serious relationship that I had. After that, I’ve never been in a relationship anymore. Just imagine, I was in an almost 6-year relationship which I broke up with him the day before our sixth anniversary. That was the time I could tell enough is enough. He was abusing my kindness. Martyrdom is not in my vocabulary so better ditch him. There was also a time I paid for both of us for a local trip because he could not afford it. I wasn’t into solo traveling at that time and I just wanted to create memories with him. He could tell how lucky he was to have me but turned out I wasn’t lucky to have him. But if I have a rich boyfriend who is financing my trip, we should be traveling together by now. I should not be working and I must have been treated and pampered like a princess. Now, that’s a fantasy but the reality is, I am single and I finance my own trip. Related Article: How I Saved PHP 100K to Travel 5 Countries in 2015? Unfortunately, I am not a privileged traveler. No need for me to explain more. I just choose to be a hardworking person in order for me to save money. Just because I own a travel blog doesn’t mean I am a famous travel blogger. That I can get things for free all the time. I created this blog in 2013 as a hobby and not switching YET as a professional travel blogger. I didn’t create this travel blog to get to travel for free. Actually, the purpose of this travel blog is to use it as a portfolio for my online job. 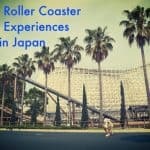 Right now, I am just slowly making ways to earn money on this travel blog. 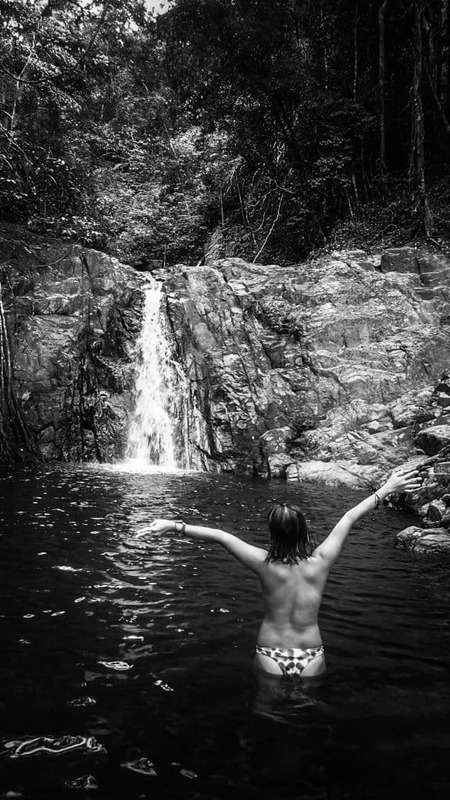 I am just happy to share my travel stories based on my personal experience. Creating a professional travel blog requires a lot of work. Realities of How Can a Poor Filipina Afford to Travel? I work hard and save money. My travel style is not a weekender or a vacationer just for 3-4 days. I travel long-term sometimes a week or to a month. Working online is my way how I am able to fund my travels. I did some part-time gigs before in order to add more money. The love of traveling makes you more creative to find money in a decent way. Check out some of the blog posts related to Online Work. As a travel blogger, I got invitations from other travel bloggers to join them. Sometimes, I found travel buddies when I am traveling solo. It’s also much better if a local invited you to show you around. Although I mentioned earlier that I am not a famous travel blogger but little did I know that owning a travel blog has its perks. I can get discounts, free accommodation, free food, and free to experience in some activities. Using the ‘travel blogger’ card has its advantage but I don’t use it all the time. Great people hosted me in Hong Kong, Singapore, Malaysia, and the Philippines through referral or sending messages to the host for cultural and travel exchange. Some were willing to show me around and others were busy with their job which is okay and not really a big problem. I did some volunteer work while traveling in order to get free accommodation in Malaysia and Taiwan. You’re lucky if the food is free by treating you to lunch or they give you a weekly allowance. 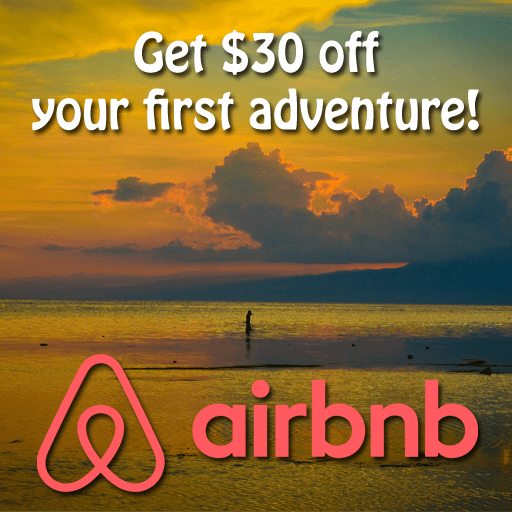 Related Article: How to Get Free Accommodation While Traveling? Having friends and relatives living in different places is just a really big advantage because you can stay with them for free in just a few days by paying them a visit. In exchange, you can ask them what they want from your place to bring them to their place be like food from your province or country or some items that can only be found in your place. When friends and relatives partly pay for your trip like for showing you around and pay for your meals, be thankful. Good thing to know that some of my readers realized that I have more freedom, the reason why I can afford to travel and do a lot of things I really l want to try and pursue. I got this comment that it is very unusual for a Filipina to have such freedom especially when you are not that rich. I find this comment as very empowering as a woman and way better than the ‘you have a sugar daddy to finance your trip’ because obviously, the comment is really degrading as a woman. Being spontaneous made me do a lot of things I never did before. I was able to think out of the box and do things out of my comfort zone. I became an adventurous person and leading me on to several surprises what life can offer. Related Article: Why Do You Travel a Lot? How Come You Travel So Much? Conclusions – How Can a Poor Filipina Afford to Travel? I am writing this because I just want to let everyone know that we also have strong, independent Filipino women who can afford themselves to travel using their own money through perseverance and hard work. Not all Filipino women born rich with rich parents. Not all Filipinas were lucky enough to get hitched with a rich boyfriend or husband. To travel is a choice and it’s up to you to have it as a priority or a lifestyle. People travel for different reasons. So what if we’re still single and gallivanting? It doesn’t make us less as a woman if we’re not yet married and not having kids. Just because we’re not in a relationship doesn’t mean we don’t have a love life. Not being in a relationship doesn’t mean we hate men. To be honest, we love life and life is also loving us back in many different ways. Check out the Revenge Story! So finally, was able to write Part 2 series: The Revenge Story of How Can a Poor Filipina Afford to Travel. 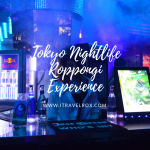 This entry was posted in FACT Inspire, Money Matters, Travel and tagged filipina afford to travel, how can a poor filipina afford to travel, Japan, poor filipina afford to travel, poor filipina traveler, poor traveler. Bookmark the permalink. You are an inspiration in your own ways, Rox and you inspire me 🙂 I also dream of traveling while working on the road but I am yet to do it. Hopefully, I get to pull it off one day. I also travel and all expenses come from my own pocket and I am proud to say I am a Filipina. Just because we are from a third-world country doesn’t mean we cannot afford to travel. Hard work pays off 🙂 I am excited to read how your “revenge” story went hehe. Dutch guys can be such a-holes! I know, I am one! 🤣 But give the next one a shot. We’re not all arrogant, promise! Once we’re loyal, we’re loyal for life. (In his defence we get mistaken for it often; it’s the pragmatic nature of the culture –we ask a lot of blunt questions and are never afraid, to a fault, to use the word “should” in a sentence or solve a problem when our poor victim just wanted an ear to listen. It’s in the blood, I was raised in Canada and am still incredibly frank! Intentions are usually good, but I can’t speak for all of ’em –some are just crabs and after living in your country for a few years I think you know that it’s not something limited to Netherlanders and could be his social class, not nationality 😇). Aside from that, I found your site because you found ours, left a comment, and I thought I’d stop by your blog to check it out. I am blown away by your take-no-prisoners survival skills, passion, and for paving your own way. We both used the same ways to start out, and probably started out with a similar income. I once hired a Filipina as my virtual assistant. Years later we met, fell hard, got married, and the rest is history. I understand your culture (and maybe why you travel). If you’re ever in Palawan or CDO, look us up. Hi Mike! Actually, Oshin left a comment on my blog so I visited your site in return. Hehe! I’ll be back in Puerto Princesa coz I’m renting a place in the city center. Currently, I’m in Cebu to visit my mom. I’ve given so many excuses for not travelling as much as I’d like to but you’ve inspired me to rethink and look at alternative ways to make my wishes come true. 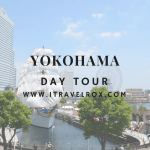 Pingback: An Unexpected Yokohama Day Trip in Japan - a Date Tour Actually!